Printable ukulele chord chart posters! 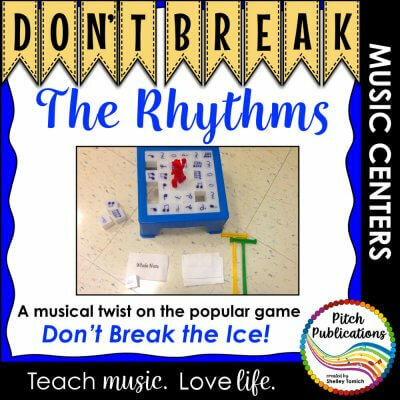 For traditional C Tuning. These ukulele chord chart posters are the perfect companion to your ukulele unit. The brightly colored ukulele posters will help your students when they need a quick reference of where to put their fingers. • Background in the Rainbow Ukulele stripe design with colors to match the Rainbow Ukulele system. 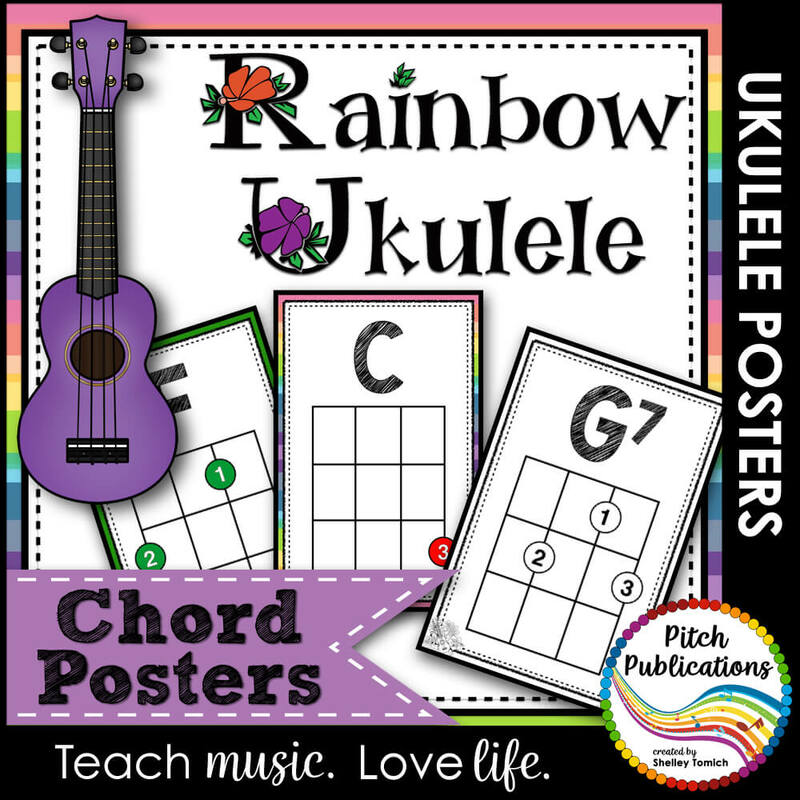 • Backgrounds in solid colors to match the Rainbow Ukulele System. 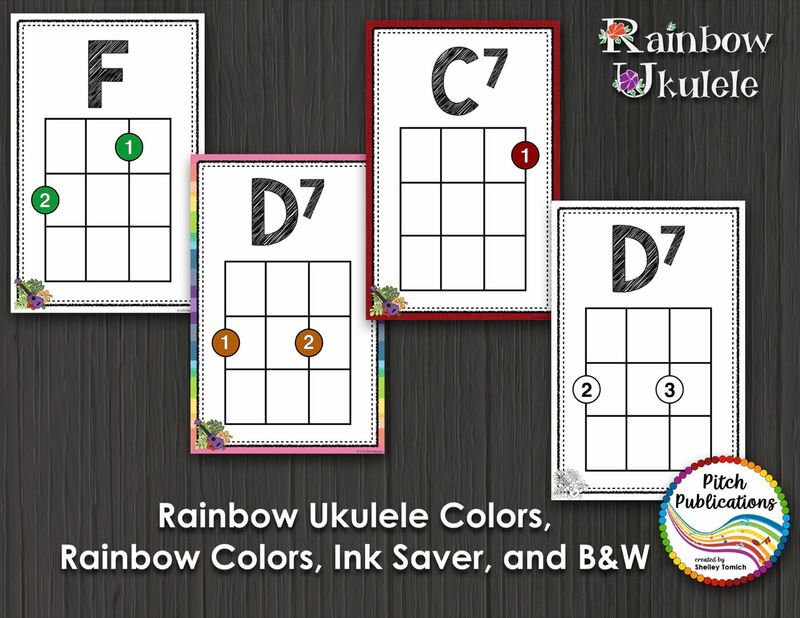 • Backgrounds in an ink-saving format to match the Rainbow Ukulele System. 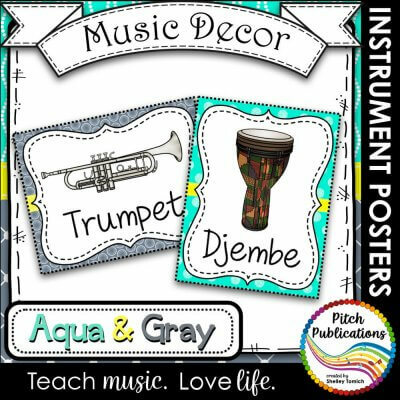 • Black and white posters. 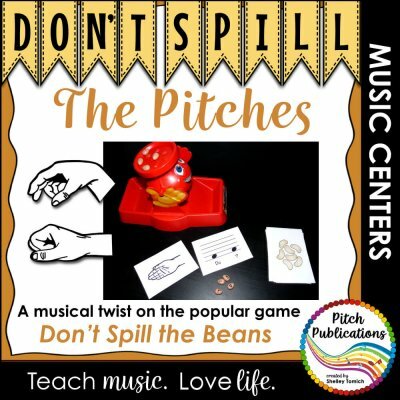 • Open string label posters. 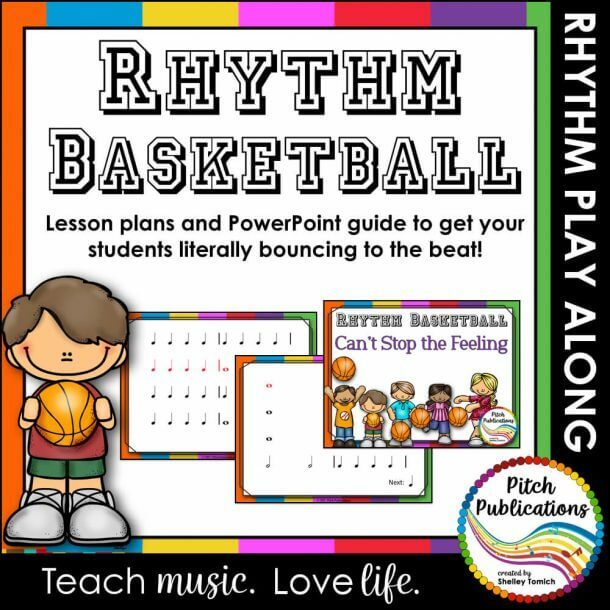 • All the chords above in 11″ by 17″ (Portrait) and 8.5″ by 11″ (Portrait in Landscape). Should you have any questions, concerns, or requests, please contact me before leaving feedback at [email protected]. I want to ensure you have a wonderful experience with my products and my store! Do I need Rainbow Ukulele to use this? 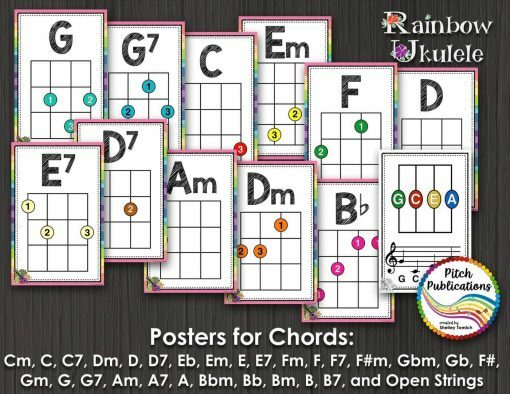 Though I do recommend the Rainbow Ukulele program, it is not required to use these posters. 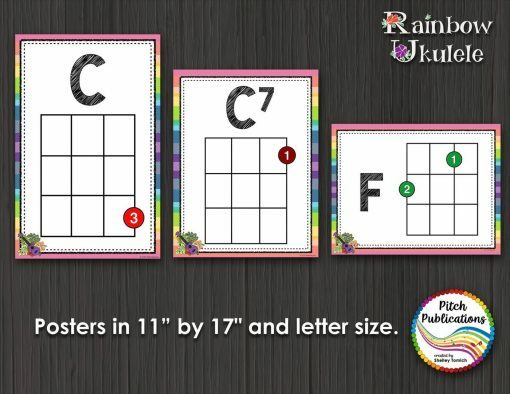 Are the chord charts for 8.5×11 hung vertically? The 8.5×11 Vertical Charts are available in both portrait (vertical) and landscape (horizontal). The 11×17 charts are only portrait (vertical) due to the spacing of that size.